Car manufacturers are queueing up to announce their commitment to Electric Vehicles this week at the Frankfurt auto show. Audi, BMW, Mercedes and Volkswagen have all made major announcements to add to the steady line of news releases involving EV cars in 2017. Volvo began it by committing to an EV line-up in 2019 and now Mercedes-Benz will offer a hybrid or electric version of its entire line-up by 2022. India, France, Britain and Norway all want to completely ditch petrol and diesel cars in favour of cleaner vehicles. At least 10 other countries have set sales targets for electric cars. While this is good news for clean air campaigners, research would suggest that owning an EV could easily halve the amount of money that the consumer spends on private transportation and that Electric cars will be cheaper than conventional ones by 2022. What does this have to do with motor racing? Well, the same stampede to introduce EV cars to consumers has been almost equally matched by a shift in attention from conventional motor racing to newer electric forms of the sport. In 2017 alone, Mercedes-Benz, Porsche, and BMW have announced they are signing up the FIA Formula E Championship – a Formula 1-esque electric racing series that features racing in city centres rather than bespoke racing circuits and drivers who get more passing-power in their cars from fans voting on social media! They will be joining Audi, Jaguar, Renault, and Citroën in a race series that is heading for its fourth season. A new electric GT car race series is due to start in the autumn of 2017 featuring Tesla Models S P100Ds as well as the recent announcement from Jaguar supplying their I-Pace for an exciting support series to the Formula E. An electric rallycross championship is in the planning stages as well as an autonomous robotic race series. In the case of Porsche, moving from the LeMans series that uses hybrid engines to one that’s completely electric could be a sign of a company recognising that the political momentum that is building behind EV cars has caught car manufacturers on the back foot and they need to be seen to have an enhanced focus on developing electric drivetrains. However, electric motor racing brings other benefits to these manufacturers. 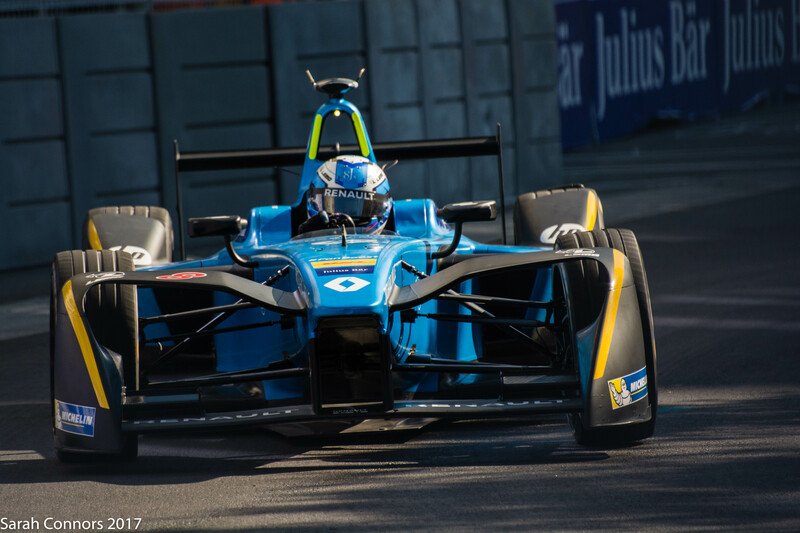 Formula E teams all race the same car, the series allows the manufacturers in the sport to develop certain parts of the technology, like the gearbox, motors, and the inverter. This keeps the cost down whilst still enabling the manufacturers to use the series as a testbed for new EV powertrain technologies. Take the transmission for example. 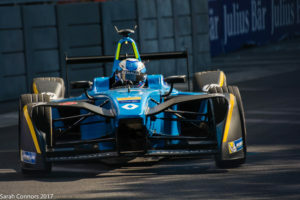 The motors in electric vehicles as well as Formula E race cars spin at very high RPM and can produce 100% torque from the moment the motor starts turning. This means that the transmission has to be able to cope with the combination of high RPM and high torque in the same package. It also has to be light and extremely efficient – you don’t want to be burning-up valuable battery energy as heat in a gearbox. No wonder then that racecar transmission manufacturer Hewland is a supplier to the Formula E championship as well as producing a new EV gearboxtargeting mainstream electric cars. The high-RPM and high torque gearboxes Hewland produced for Formula and LeMans sports cars provided much of the technology required to produce efficient, high-torque EV transmissions. Electric Vehicles are poised to change the dynamics of the motor industry. They will last longer, use less fuel and in the long run be much cheaper to own. They will have fewer moving parts than a conventional car. Automakers will be evolving their sales and brand strategies to address a consolidation of the global market. Being seen to be a strong competitor with innovative race-bred technology – backed up by high-profile success on the race track – is but one of many strategies new and existing car manufacturers will employ to win the EV car race. Even in an electric 21st century, it will be race on Sunday, sell on Monday.